With our Battery Temperature Sensor, you can apply the proper charge voltage for achieving optimum battery performance and longevity. The ideal charge voltage required by batteries changes with battery temperature. The battery temperature sensor allows the charge controller to continuously adjust charge voltage based on actual battery temperature. Temperature compensation of charge voltage assures that the battery receives the proper charge voltage as battery temperature varies. The entire line are equipped with Battery Temperature Sensing for increased charging precision. It sends precise information to the charger, which automatically adjusts voltage to help ensure full battery charge depending on the ambient temperature of your battery installation. When the battery voltage is over 40℃(104℉), it will reduce the charging voltage by 0.1Vdc with every degree of temperature rise. We recommend that you install Battery Temperature Sensors on all banks to protect your batteries and to provide optimal charging of each bank. The battery temperature sensor mounts on the side of a battery or any other location where the precise temperature of battery can be detected such as battery mounting racks. The following table describes approximately how much the voltage may vary depending on the temperature of the batteries. A Battery Temperature Sensor has been provided as a separate accessory. 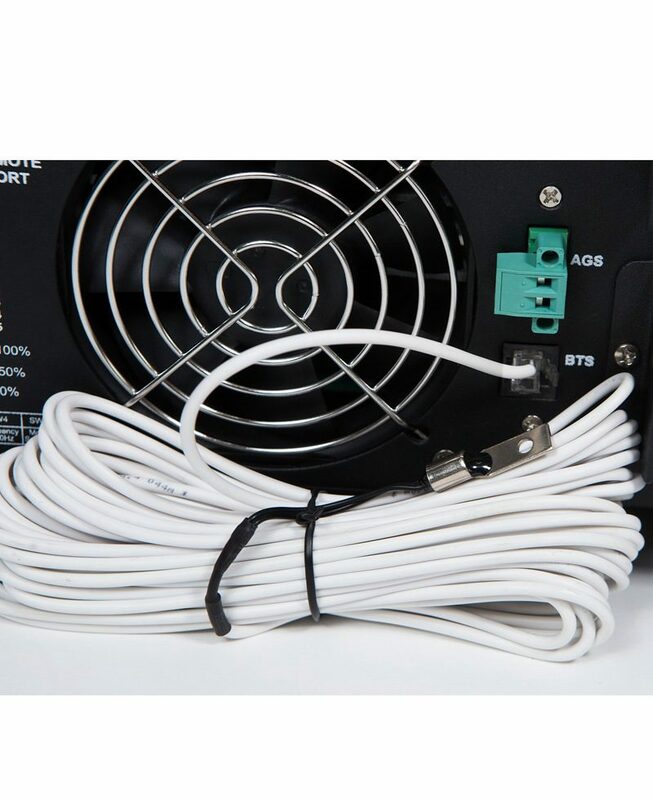 It comes with 32.8’/10m cable. 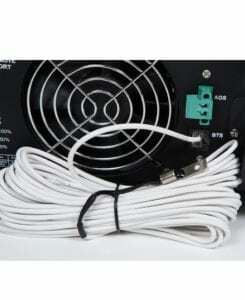 Important: If the battery temperature is allowed to fall to extremely cold temperatures, the inverter with a BTS may not be able to properly recharge cold batteries due to maximum voltage limits of the inverter. Ensure the batteries are protected from extreme temperatures. For more detailed technical information, please contact us .